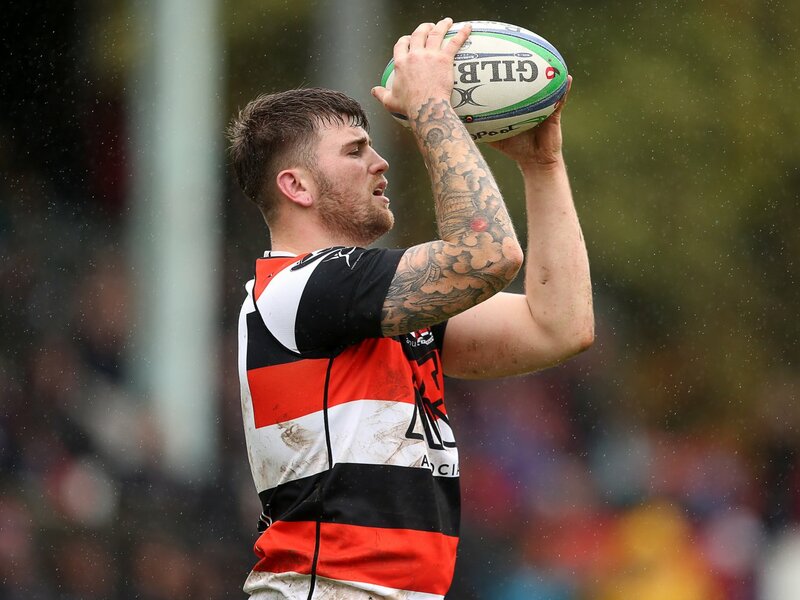 Pontypool kept up their 100% away record in the SWALEC Championship with the narrowest of victories at Mount Pleasant Park in difficult conditions. Persistent rain fell throughout the morning which made the pitch very heavy and the ball greasy. This victory moves Pontypool up one place in the league table to second, seven points behind leaders Merthyr. Pontypool won the toss and elected to play up the slope against the wind with Beddau kicking off attacking the changing room end of the ground. The home side make the early running and, after 5 minutes they were awarded a penalty 30 metres from the visitors’ goal line on Beddau’s right and outside half Sam Withers slotted the kick at goal to put the home side in front (0-3). 10 minutes later Beddau again tested the Pooler defence and the visitors were penalised for a high tackle in a similar position to the first penalty. It was the same outcome with Withers kicking the goal to double Beddau’s lead (0-6). There was no further scoring in a tight first half so the home side took a slender lead into the interval. Half time score Beddau 6 Pontypool 0. At the start of the second period Jamie Jeune replaced Jamie Edwards at loose head prop and, after 10 minutes of the re-start Aaron Quick made way for Rhys Dyer at scrum half for Pontypool. Five minutes later and Pontypool were camped in Beddau’s 22. Pooler had a scrum five to the right of the posts and applied pressure on the Beddau pack, driving their opponents back. The home front row stood up whilst the Pooler pack was driving forward and the referee, Neil Hennessey of Cardiff, awarded Pontypool a penalty try which full back Clayton Gullis converted (7-6). Half way throught he second half and Pontypool were caught offside 35 metres from their line on Beddau’s right and Withers kicked his third penalty of the afternoon to put the his side back in front (7-9). Gareth Rusby-Davies was replaced by Nathan Hudd at open-side flanker and, shortly after, Sam Mills made way for Tom Hancock at outside half for Pontypool. Going into the last ten minutes and Tom Hancock kicked the ball up-field from his own half but was late tackled and the referee awarded a penalty where the ball landed – 30 metres from the Beddau goal line 15 metres in from touch on Pooler’s left. Up stepped Gullis to kick the penalty goal to edge Pontypool in front (10-9). Joe Popple came on for Ryan Harford for Pontypool with just over 5 minutes to go. 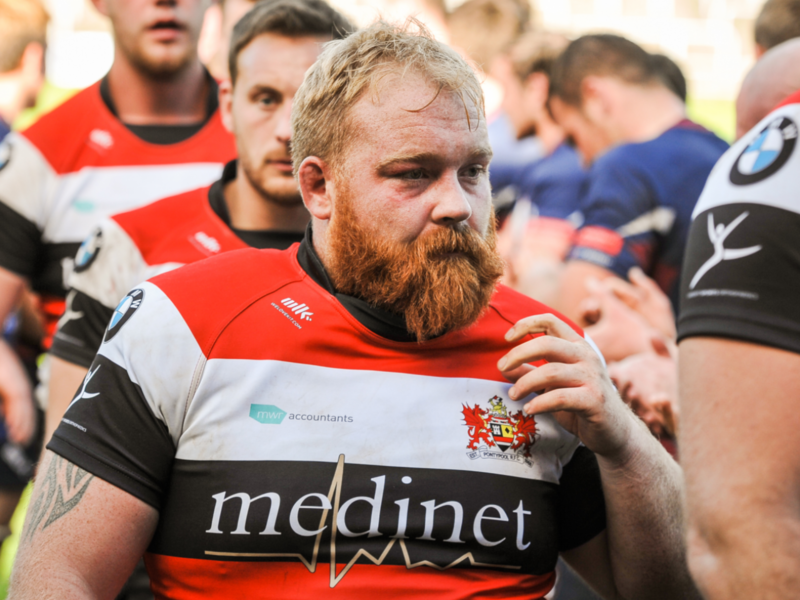 In the fourth minute of injury time, Pontypool were caught offside near their 10 metre line in midfield but the attempt at goal was pulled to the left and Pooler held on to an important win. Final score Beddau 9 Pontypool 10. Despite not being at their best, Pontypool dug deep to win this scrappy affair to keep in the title race. 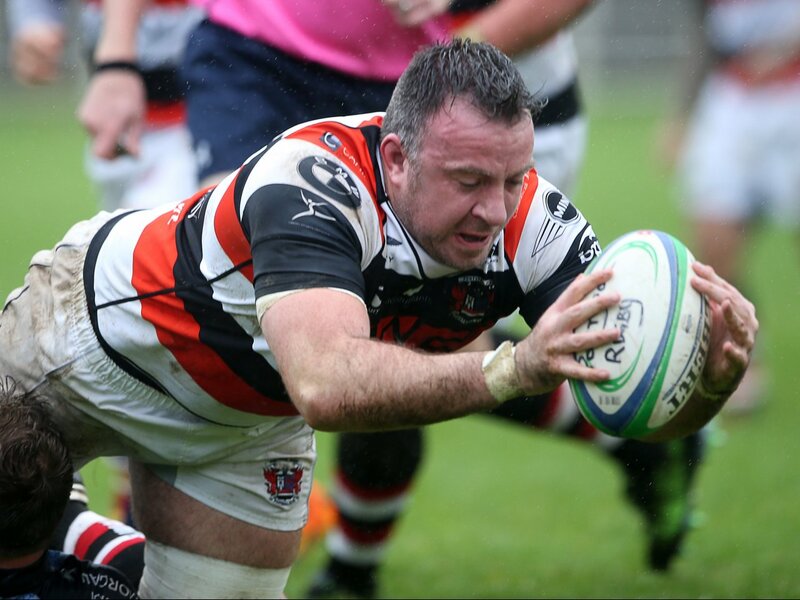 The game could so easily have been lost but Pooler’s resolve got them over the winning line. Teenage centre Pat Lewis played well for Pontypool with some good breaks and a couple of important tackles. Pontypool now look forward to welcoming RGC 1404 from North Wales to Pontypool Park next Saturday, kick-off 2.30pm. Pontypool: Clayton Gullis, Nathan Brooks, Pat Lewis, Sione Tu’ipulotu, Josh Hurley, Sam Mills (replaced by Tom Hancock), Aaron Quick (replaced by Rhys Dyer), Jamie Edwards (replaced by Jamie Jeune), Ben Parry (captain), Ryan Harford (replaced by Joe Popple), Matthew Thomas, Adam Scanlon, Jordan Williams, Gareth Rusby-Davies (replaced by Nathan Hudd), Ben Sparks.